The red palm beetle or weevil is a very real threat to palm trees in Spain, after it was imported in trees from North Africa (probably Egypt). The plague has spread into France and other European countries. 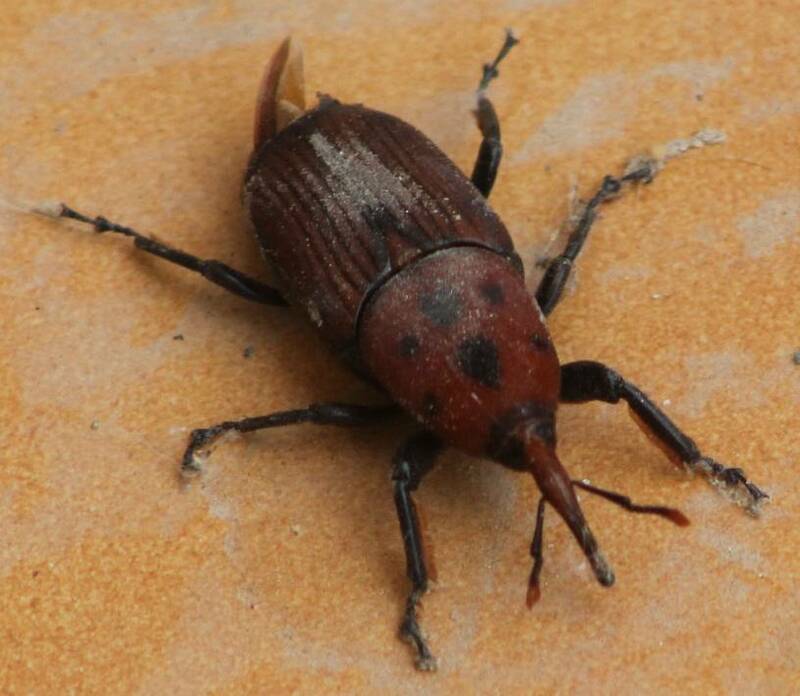 This is the adult beetle, (Rhynchophorus ferrugineus) which was photographed outside my back door in September 2012. it was about 4cm long. The female of the species lays around 200 eggs on palm trees. Their favourite in Spain is the Canary palm, (date palm). The larva then burrow into the tree, eating the inside. This usually kills the tree.They were first observed in coconut palms in Asia. 1. Noises coming from the crown area of the tree. 3. The tree yellows and dies. 4. Pupa appear on the outside of the tree in a cocoon of palm material. The best insecticide to use was Imidacloprid but the EU banned it in 2012 over fears of harming bees. Another chemical which can be used is Chlorpyrifos which you can view/buy on Amazon, below.